Clow Canada | McWane, Inc.
Canada Pipe and Clow Canada team members recently bid a fond farewell to Kathy Senior who retired after 38 years. Kathy’s career has been an evolution of sorts. She began her career in July 1980 with Stanton Pipe as secretary to the Treasurer. When Stanton was purchased by Canron in 1985, Kathy transferred to the Sales Department where she also served as the Personnel Manager. In 1989, her career took another turn when she became the secretary for the Vice-President General Manager at Canada Pipe. When Clow Canada later joined offices with Canada Pipe, Kathy continued to work as administrative assistant and handle payroll and benefits for both companies. Kathy is looking forward to spending time working in her gardens but first she has two weddings to attend this summer. In fact, she will be traveling over 3,000 km to a wedding in Edmonton, Alberta, Canada from Beamsville, Ontario, Canada on a motorcycle. Sounds like Kathy has lots of fun planned for her retirement years. We wish Kathy best wishes for a long and happy retirement! Clow Canada held their annual sales meeting in Saint John, New Brunswick the week of January 22. A regular agenda item for these meetings is a charity event that doubles as a team building experience. This year was no exception. The sales team volunteered to make sandwiches at the Romero House to put in children’s lunch bags for the following school day. The Romero House is a soup kitchen that was founded in Saint John in 1982 that serves free meals and provides food hampers and housewares to those in need 365 days a year, including Christmas day. In lieu of a dinner out that evening, the day was topped off by the team presenting the money they would have spent going out to dinner at a restaurant as a donation to the Romero House. Take out food that night never tasted better! The Clow Canada Sales team had a great time and came away knowing they had made a difference for those in need in the Saint John community. 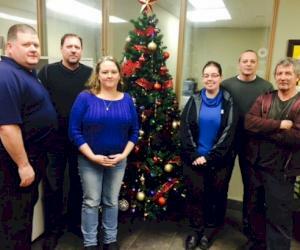 Clow Canada staff and members of Local 835 IAM recently raised $2,000 for the Romero House Soup Kitchen and Clow Canada matched that amount for a total donation of $4,000. Money was raised all year through donations from team members and selling recyclable bottles, cans and scrap wood. Over the past 7 years, Clow Canada has donated $23,000 to Romero House. The entire team at the Saint John plant continue to be committed to the Saint John community and came together throughout the year to make generous donations and came up with creative ways to raise money for Romero House. Unfortunately, Saint John has the highest child poverty rate in Canada and only strong community support can fix this problem. Romero House operates a soup kitchen giving out 400 meals per day, a clothing bank, emergency family assistance, outreach, chapel, health care room, life skills support and a mobile unit that travels around the city at night giving coffee and sandwiches to the homeless. This week, Clow Canada was pleased to welcome representatives from Coverdale Women’s Center and Outflow Ministry Men’s Shelter. Mayor Don Darling, Deputy Mayor Shirley McAlary and City Counsellors also attended to show support for these organizations. General Manager Rick Benoit provided the visitors with a tour of the facility and then presented the two shelters with a donation. Thank you to both organizations for all that you do and we hope the donations help make a difference. 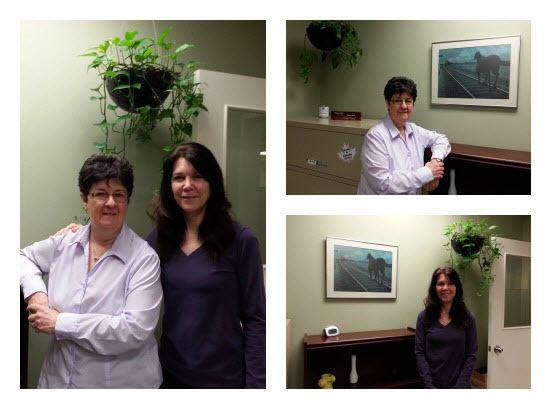 After 25½ years of dedicated service with Canada Pipe & Clow Canada, Credit Manager Jerri Penrose (pictured top right) is retiring on May 1. Jerri, also known as a “super” user, has been an integral part in implementing the new computer systems at Canada Pipe and Clow Canada. Though we will definitely miss Jerri’s wicked sense of humor and laughter around the office, we wish her a long and happy retirement! Colleen Jardim (pictured bottom right) is replacing Jerri as the new Credit Manager. Colleen has over 14 years of credit management experience in the waterworks industry and has been working with Jerri for the past few months during the implementation of the new computer systems. As we celebrate Jerri’s departure, we also welcome Colleen to the Hamilton location and know she will be a great asset to the team! 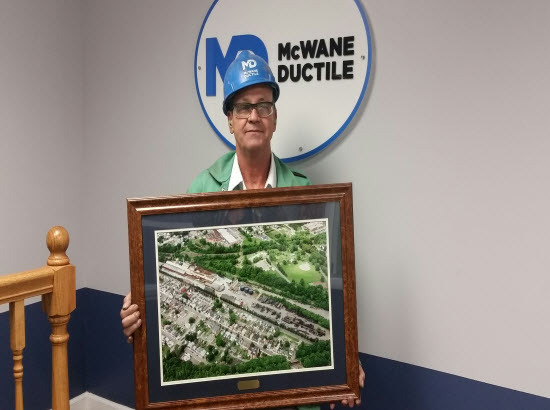 Michael Barno is retiring after 27 years of service in the “cold end of the plant” at McWane Ductile located in Phillipsburg, New Jersey. Michael is a supervisor in the Maintenance Department and is respected by everyone he works with. Michael and his wife Georgette plan to travel around the United States and spend time with their children and grandchildren. We will miss Michael and wish him the best in this next chapter of his life! 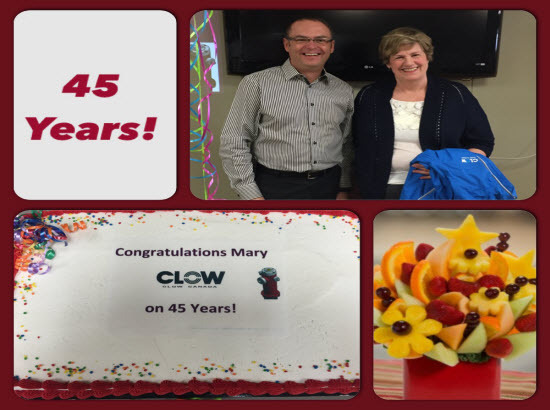 On April 9, 2015, Clow Canada celebrated Mary Snell’s 45th year with the company. Mary is currently the Receptionist and Payroll Administrator, but she started her career in 1970 as a typist. She was hired for a short term position directly out of high school. Rick Benoit, Clow Canada’s General Manager, presented Mary with a jacket and fruit bouquet, and Rick Allen, Union President, gave Mary a signed card at the gathering. The entire team celebrated this milestone together with cake and coffee. A total of 35 pollution prevention project entries were received in July 2014 for this year’s Pollution Prevention Challenge. By the deadline of November 2014, 21 of these projects were submitted for judging by three independent judges. The judges evaluated all the written submittals and selected 12 finalists. The 12 finalists presented their projects via a web meeting on December 16, 2014, after which the judges picked the winning entries. Our sincere thanks to the judges for donating their time and expertise for this process!! All of us, including the three judges, were very impressed by the innovative ideas, presentations and the keen interest and passion shown by participating team members from different McWane facilities and departments (production, maintenance, engineering, environmental, etc.) in identifying and implementing effective pollution prevention ideas. We hope to see a continued high level of interest in Pollution Prevention at all McWane facilities going forward. Thank you for everyone’s interest in the 2014 P2C and your support of McWane’s EHS programs and get started with your 2015 projects/ideas.